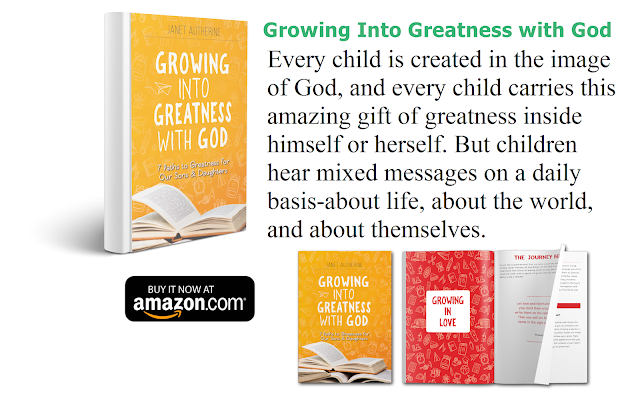 Every child is created in the image of God, and every child carries this amazing gift of greatness inside himself or herself. 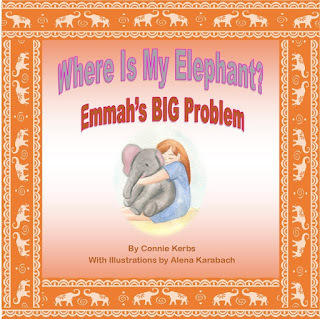 But children hear mixed messages on a daily basis--about life, about the world, and about themselves. 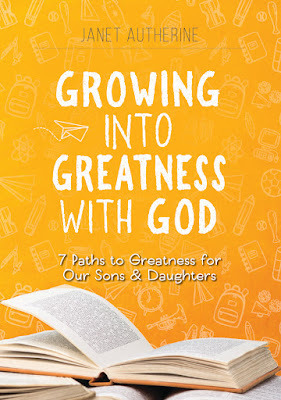 In Growing into Greatness with God: Seven Paths to Greatness for Our Sons and Daughters, author and mother of three boys Janet Autherine encourages kids to see themselves as unique and amazing--already blessed with what they need to succeed in life and achieve their God-given dreams. Growing into Greatness with God inspires kids and young adults with wisdom applicable to their daily lives and empowers them to always love themselves and to be their best selves. 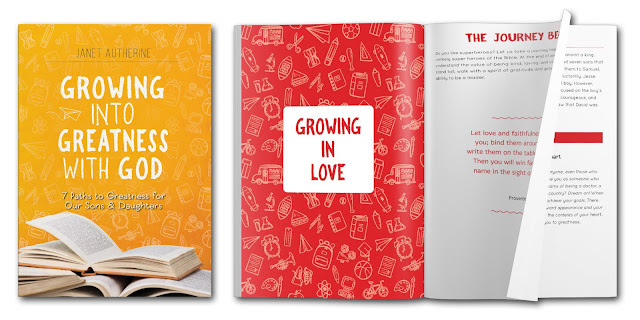 This second edition of Growing into Greatness with God also includes a workbook that churches, parents, and sunday school leaders can use as a teaching tool.